Hatch Chili season is usually short. I roasted some (e.g. Roasted Hatch Chili) the last season to make sauce-salsa. Today, I took the easier route to pickle. 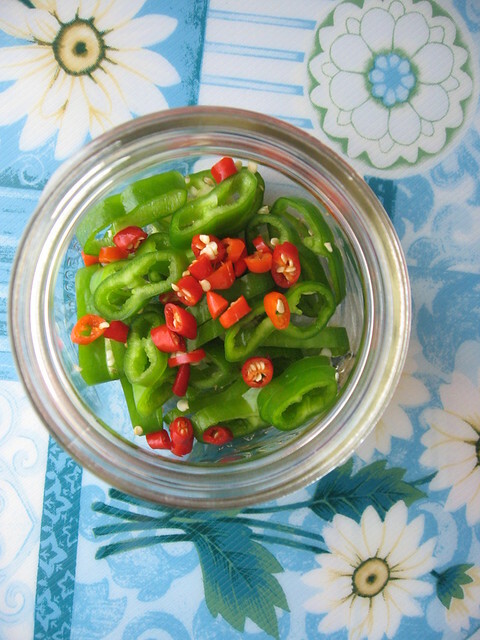 I do not know if Hatch Chili can indeed be pickled as most chili-pickling ideas from the web were either Jalapeno (most common variety for pickling), or other chili e.g. Habanero, Thai chili. Anyway, I am guessing it can work for the Hatch variety. To make it a fuss-free pickle that everyone at home can do and will do, the recipe is kept to the bare minimum - chili and vinegar. That's it. I did not even add salt or sugar. If you have pickled chili, you can try this Pickled Chili Steamed Whole Fish. Directions: Rinse chili with water, then pat-dry. 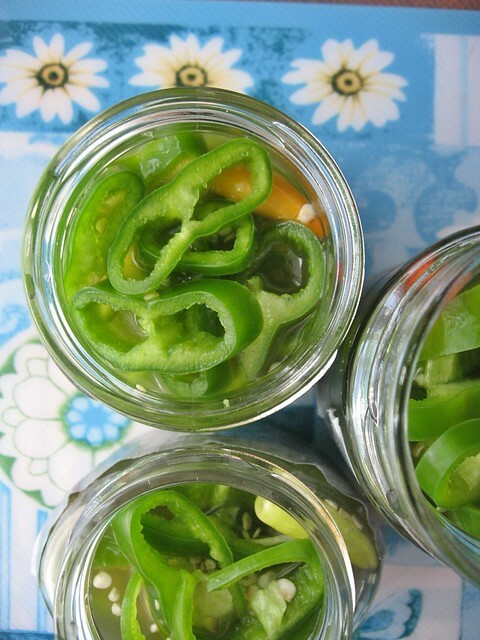 Slice the chili and place into glass jars. 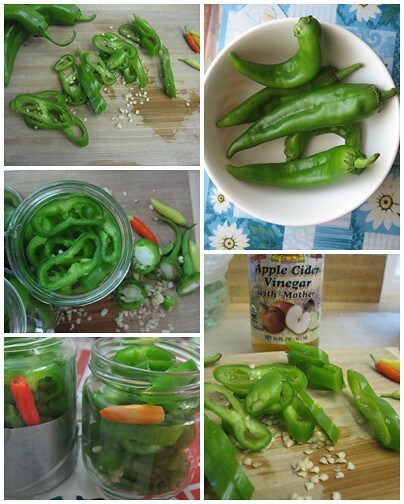 Pour organic apple cider vinegar till the chili are fully submerged. Store in the fridge (Believe it or not! Mine kept well to almost a year!) and they can be ready in less than a week, as condiment for stir-fry noodles or noodle soup. 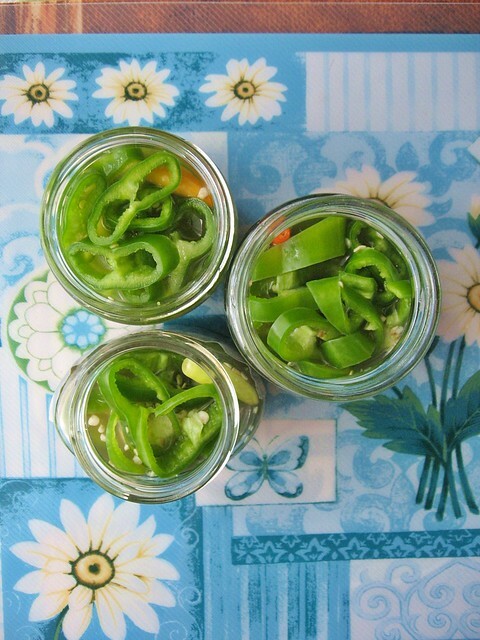 In the Hatch chili pickle, you can also mix in the hotter and sweeter red chili (I have some from the garden!) to spice things up a little.